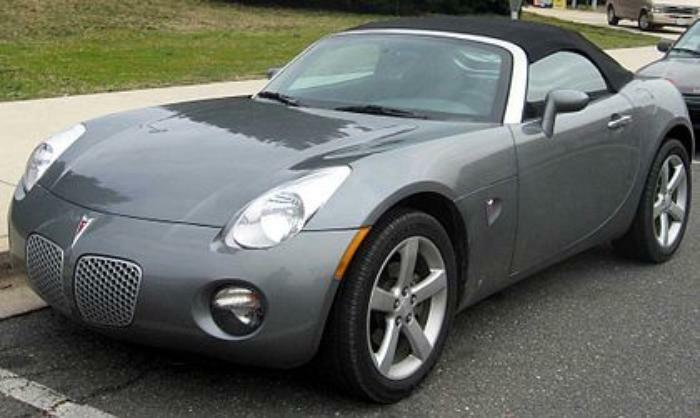 General Motors recalls Pontiac Solstice and Saturn Sky vehicles. General Motors is recalling 91,007 model year 2006-2010 Pontiac Solstice and 2007-2010 Saturn Sky vehicles. The Passenger Airbag Suppression System (PPS) sensor may become bent or damaged within the front passenger seat, possibly disabling the front passenger airbag. If the front passenger airbag does not deploy as intended, the front passenger has an increased risk of injury. Owners may contact Pontiac customer service at 1-800-762-2737 or Saturn customer service at 1-800-553-6000. GM's number for this recall is 17036.